First, click the leftmost button in toolbar (Create new project). In case you have a project open you have to close it before. 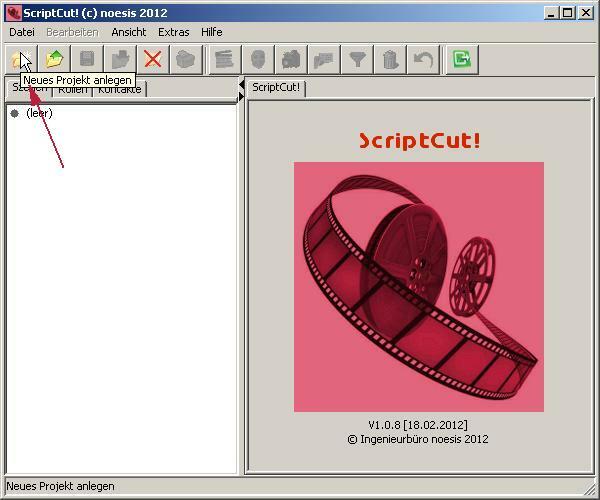 In the following dialog you enter the name of the new project (the script), choose „create manually“ and click „Create“. 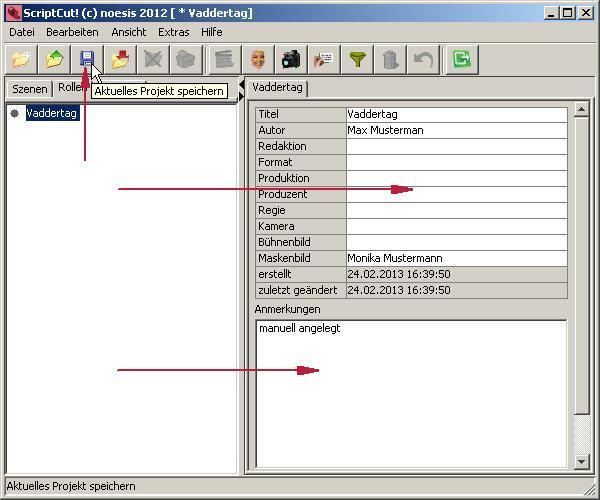 If a project with the same name already exists, a dialog appears and give you the possibility to change the name. Fill in additional project data - if desired. This isn't mandatory but helps you to keep the general view and to have all informations handy at every time. Furthermore you can add contact informations at this point, if you need them. 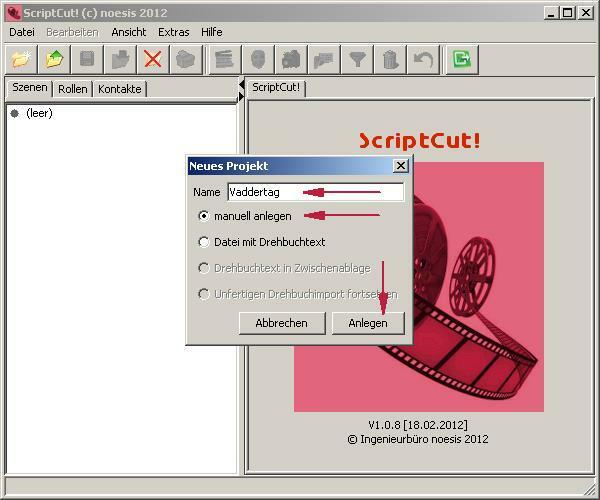 Next you click the third button in toolbar to save the base informations of the project. It is recommended to repeat saving during subsequent work, that your work is not lost by mistake.